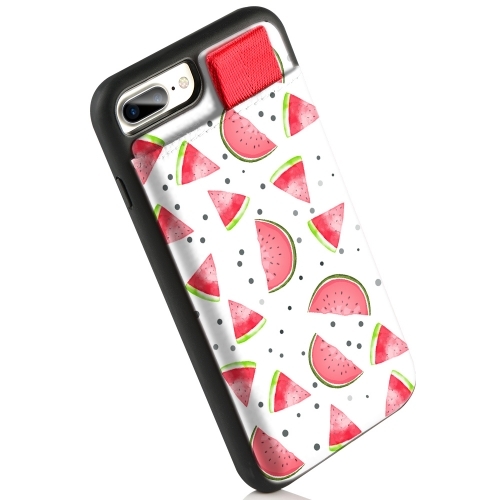 Compatible: Only fit for iPhone 7 plus/ iPhone 8 plus, 5.5"
【iPhone 7 Plus/iPhone 8 Plus Wallet Case】: Only fits for iPhone 7 plus/iPhone 8 plus 5.5 inch(diagonal length of screen). Buy with no risk with our 18 months warranty and 100% money back guarantee. 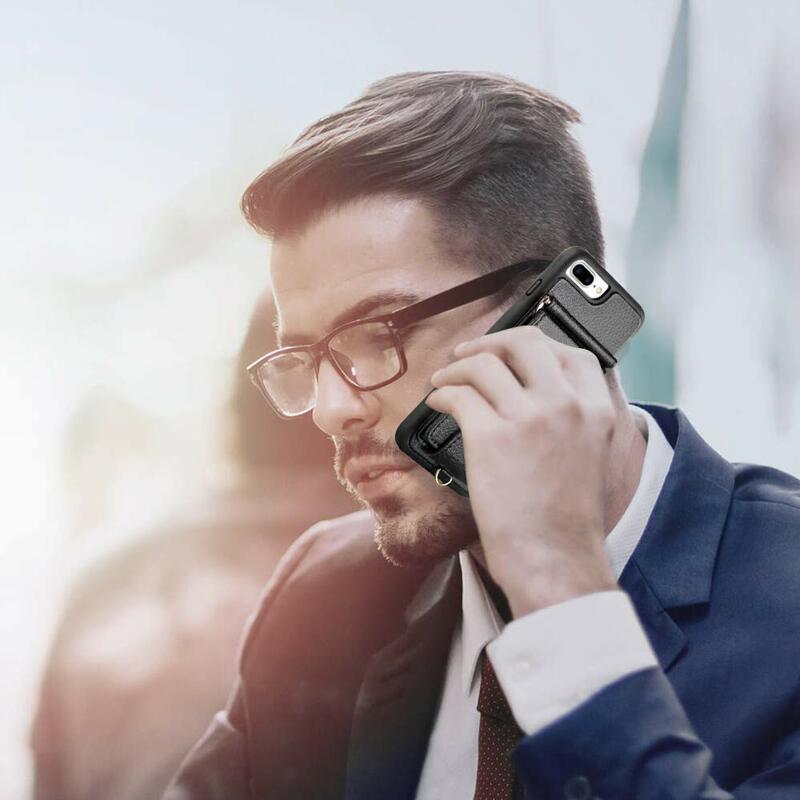 【2 in 1 Phone Card Holder Case】: Combine slim bifold front pocket wallet with your iPhone case, compact and organized, specially for you who just want to carry around the essentials, like car license, ID card, credit cards or several bills, say goodbye to your additional heavy wallet. 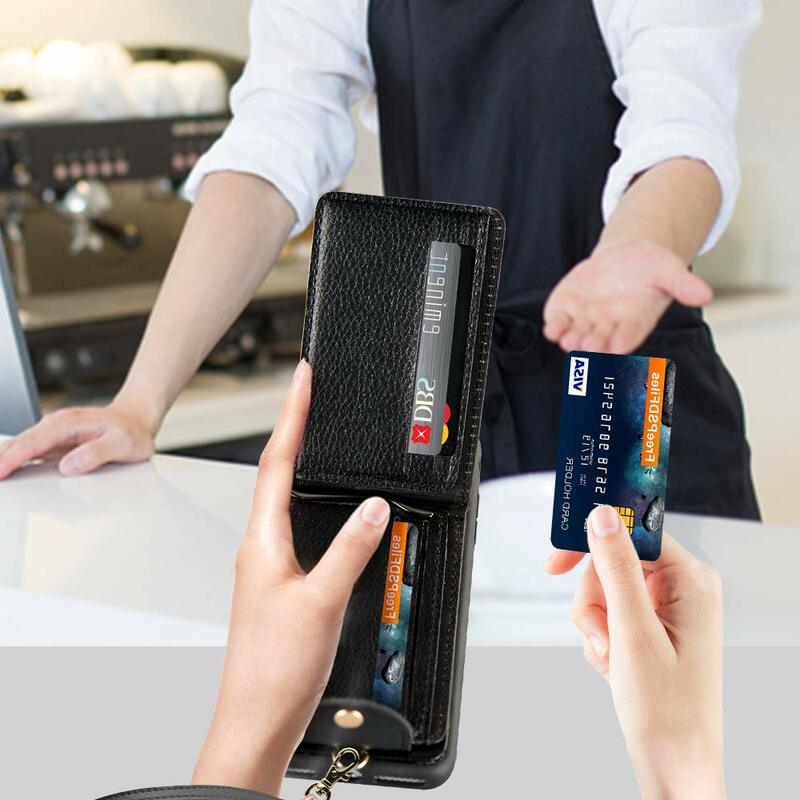 【Wallet and Money Clip Feature】: Made form durable soft synthetic leather, this wallet case consists of 6 credit card slots & 1 money clip, fits up to 6+ cards or 10+bills(the more you put in, the bulkier it will be, we recommend less than 6 cards), perfectly meet your need for daily use or travel. 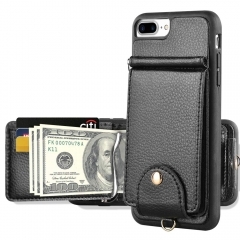 Magnetic clasp on the back stays firmly to prevent your stuffs slipping out. 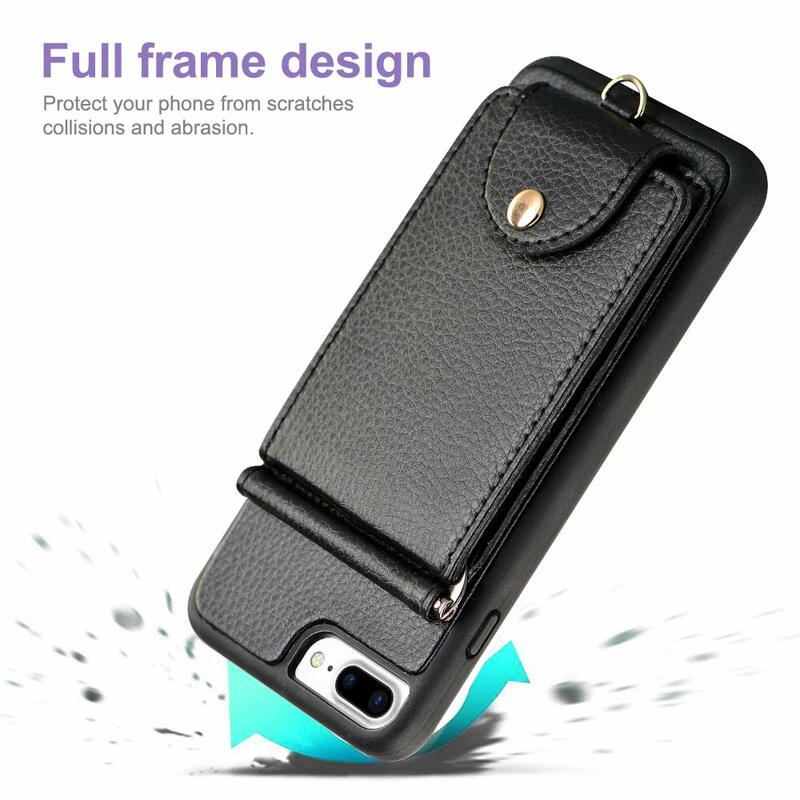 【Drop and Scratch Resistance】: Protective full frame design with shockproof TPU bumper, protect your iPhone form tough drops, scratches, and bumps; 1 mm raised lip for screen and camera, decrease abrasion from daily use. 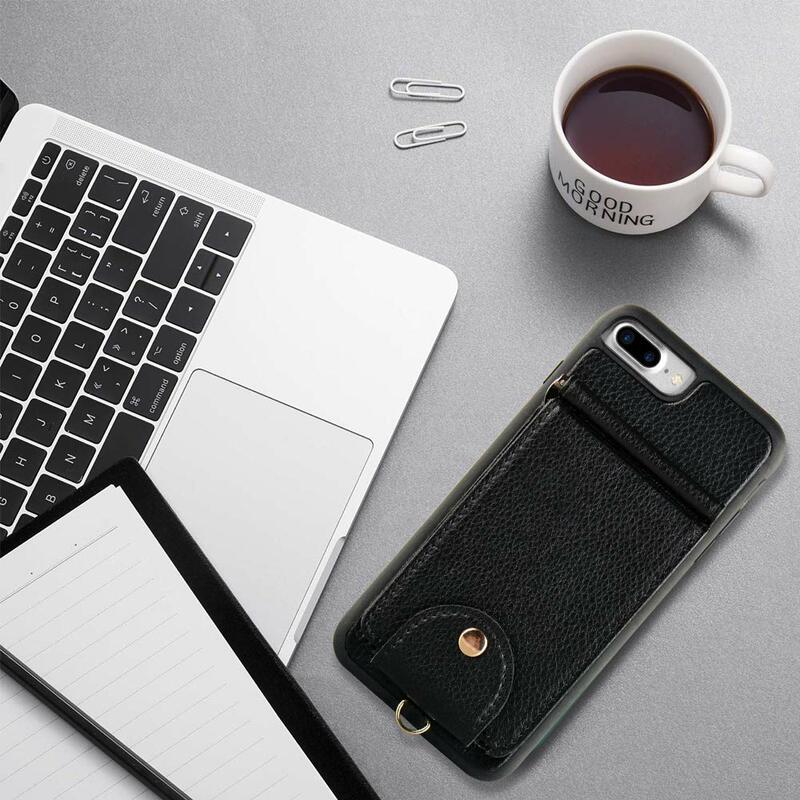 【Ideal Gift for Him/Her】: This case is nicely packed into a white gift box with logo “LAMEEKU”, perfect gift choice for Christmas Day, Anniversary Day, Valentine's Day and Birthday to your special one. 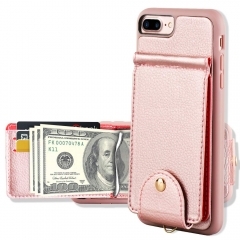 LAMEEKU Wallet Case, Combination of Wallet and Phone Case, Stylish and Functional! 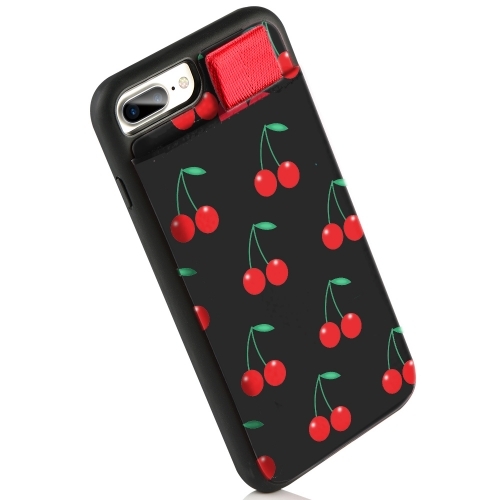 Compatible Phone Models: Fit for Apple iPhone 7plus / 8 plus, 5.5 inches version. 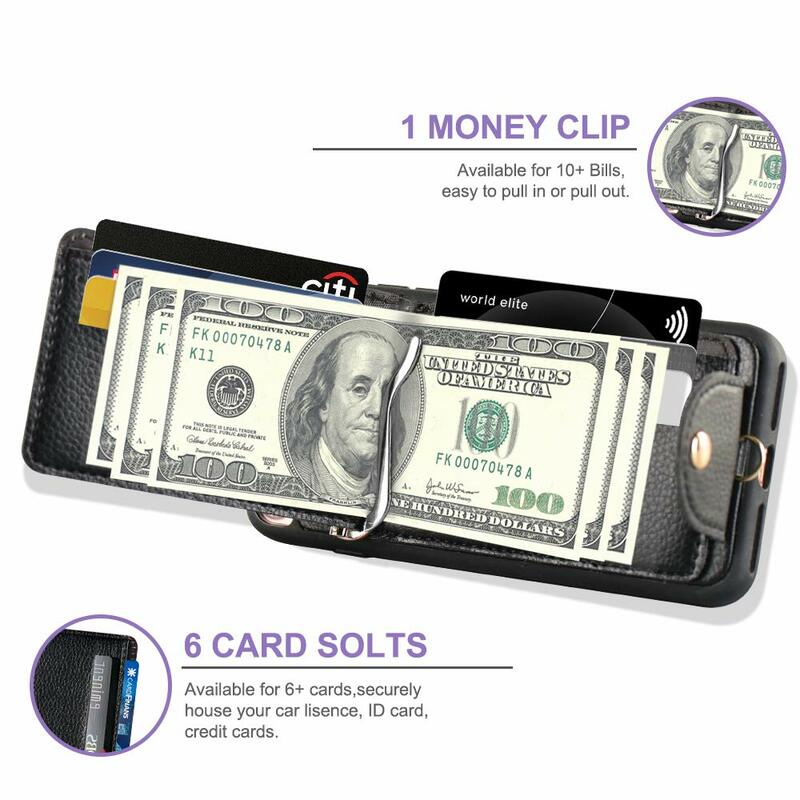 --6 card slots and a money clip- it can secure up to 6 more cards, you can carry around all the essential cards for daily use. 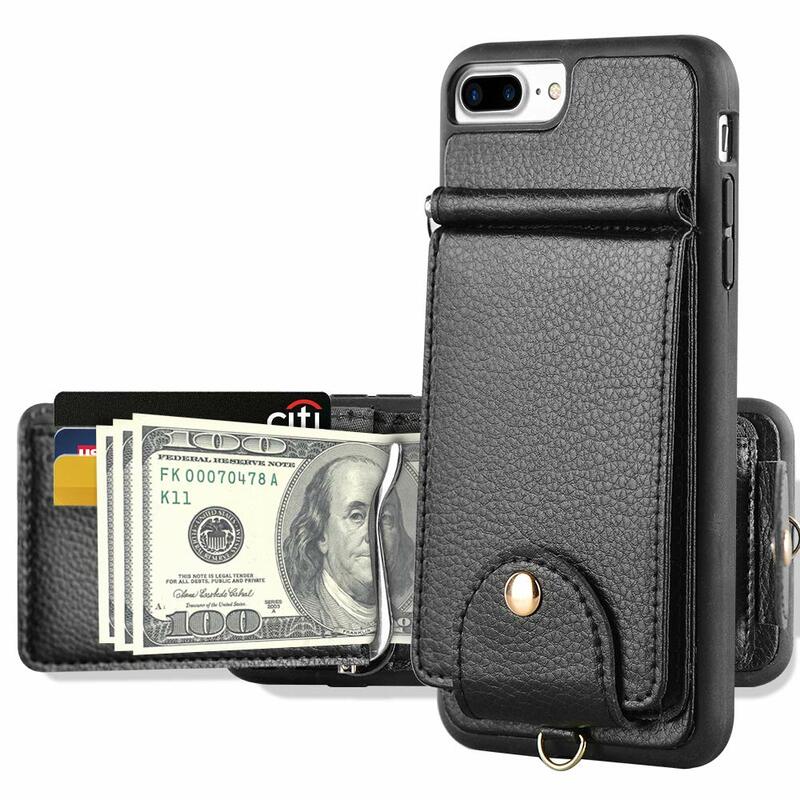 What’s more, with the money clip inside, you could easily pull in or pull out the bills. 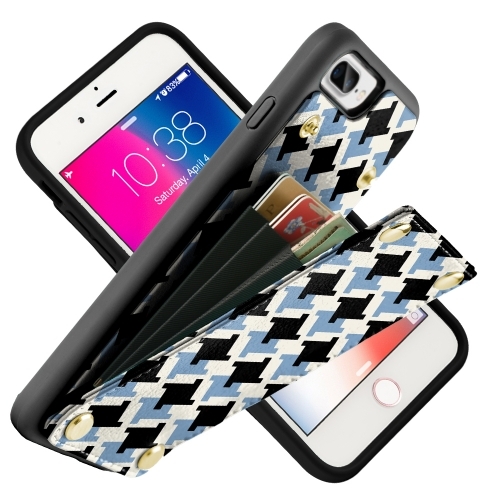 --Magnetic snaps- Magnetic with strong absorption but quite easy to detach, don’t worry about losing cards and cash. 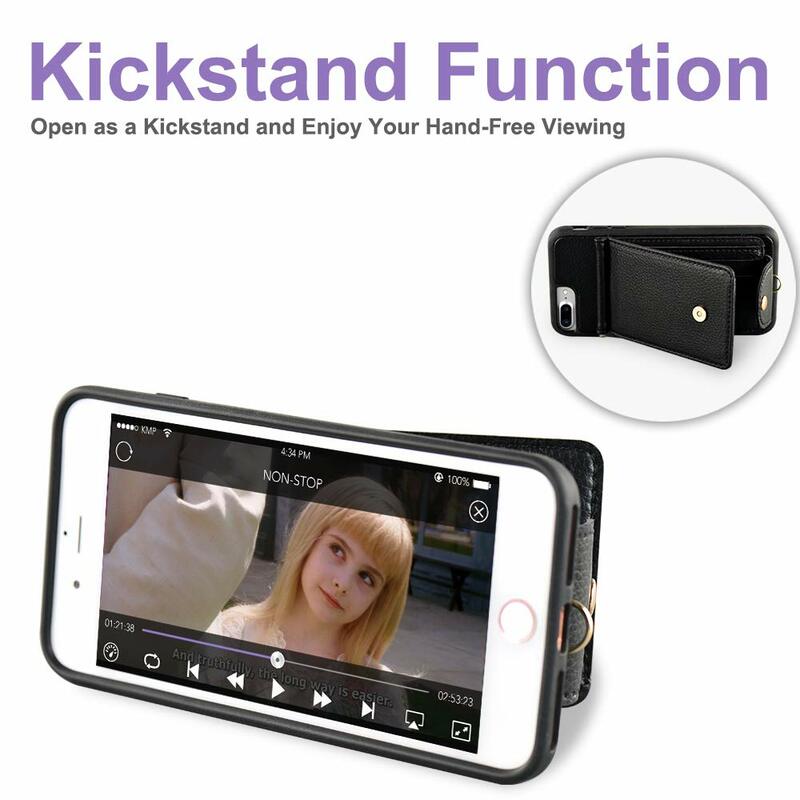 --Stand view design-Put this iphone wallet case horizontally, adjust your comfortable angle, enjoy the fun of the stand feature. 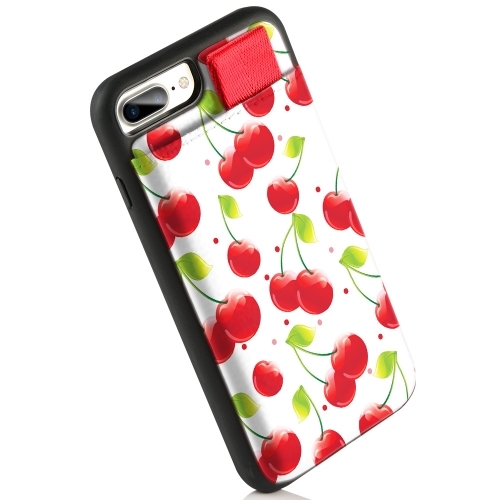 --High quality- The main materials are durable soft PU and premium TPU material, protects your phone from accidental bumps, scratches, or falls. 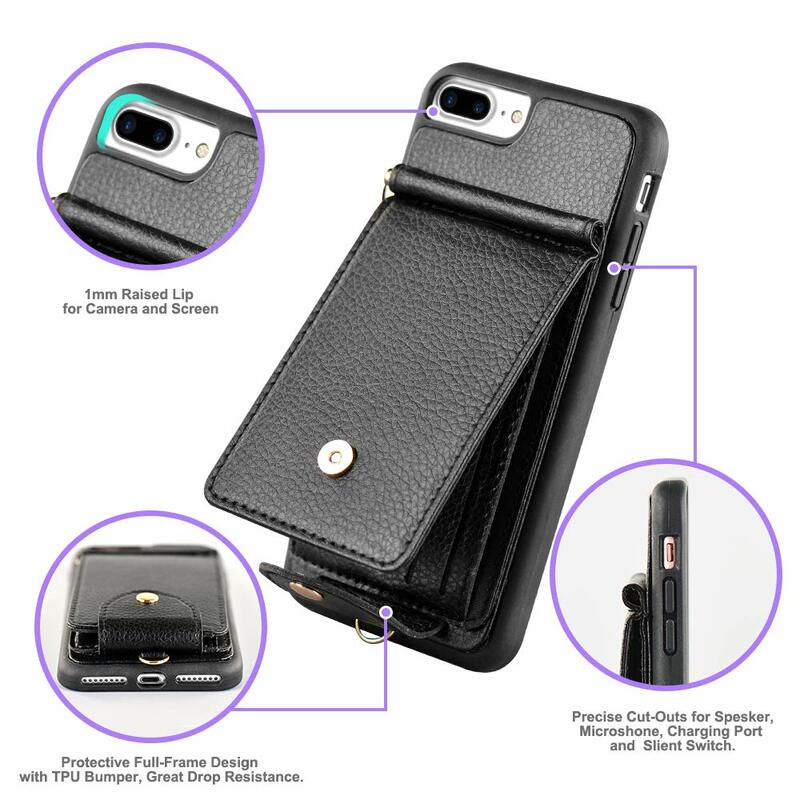 --Delicate workmanship-Precise Cutouts Fits perfectly on your Apple iPhone 7 plus iPhone 8 plus [5.5inch], you can use speakers, camera and other functional ports easily without remove the case. --Portable and anti-lost wrist strap- Come with a detachable wrist strap, free your hands when you going out, perfect for travel. It also will add thickness according to the numbers of your cards, but will not affect the normal use. Opened snap buttons, the button cover design guarantee the security of the card. LAMEEKU offer 18 months warranty from date of purchase to make sure that customers can buy with confidence . If you have any questions, please feel free to contact us! Will this fit a Samsung Galaxy S6? Can I take the wrist strap off ? Yes, you can take the wrist strap off, cause it is detachable. How good is the quality? I would like to say it is vey good, worth the price.